How do my clients pay for their Slick online booking? How much does it cost to use Slick?  You'll need to setup your Stripe connection in Slick in order to collect the money your salon generates from the online bookings made via Slick. To do this go, log into your Simple Salon account and go to Slick (top left). In the Slick Dashboard click Setup next to PREPARE TO RECEIVE PAYMENTS. The Stripe page will load. If you have an existing Stripe account click Already have a Stripe account? Sign in. If you don't yet have a Stripe account then you'll need to complete the form. Once you've filled out the form click the Authorize access to this account button to connect your Stripe account to your Slick account. Back in your Simple Salon account, under Slick, you'll now have the Collect option. Click Collect to have the funds owing transferred to your nominated bank account.